Another weekend, and another Groupon. Again, I busted The Marinater out of the Lompoc Supermax where he was doing a nickel for injecting fruit bats with growth hormone (crazy effer). We found street parking with relative ease. We were quickly seated at the back bar where The Marinater's aggressive, anti-Finnish facial tats (man, he hates the Finns) and my freakish good looks would not startle the other patrons of the busy restaurant. We ordered a couple of the Peoples burgers. 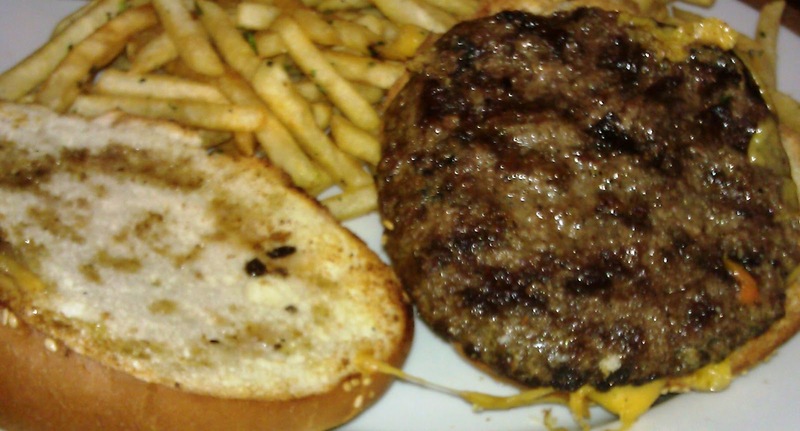 The Peoples burger listed at $9.95, but the Groupon lessened the sting. Our burgers arrived in about 15 minutes. During that time, we chilled and got our Olympic Dressage on. We marveled at the fact that we lived in a world where making prancing horses pretty was actually viewed as a sport. 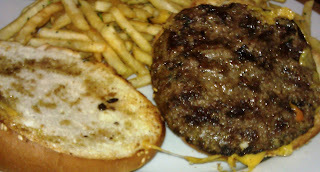 The Beef: The burger meat at The Hollywood Corner was 8 ounces of plain old Chuck. In this case, 10 buck Chuck. The beef was moderately juicy. It was about 20% fat, so not too oily. There were no hints of aging, minerals, blood, or other elements that would have made this relatively beefy burger interesting. This was a one-note burger patty. It tasted of beef and that was it--that came from the melted collagen from the Chuck. And that was why we order our Chuck burgers Medium. Otherwise, this would have been a bland disaster. The mouth feel was barely chewy. It just wasn't an interesting burger. The Seasoning: Only the exterior of the patty was seasoned with a mild hit of salt. It could have used more seasoning to compensate for the tame beef. The Sear: The kitchen staff at The Hollywood Corner got an adequate sear on the burger with a properly hot gas-fired grill. The sear was not crisp, but it was relatively even. The Preparation: The burgers were hand-formed during the prep cycle. The patties were not over-worked, so the beef was not chewy. The burgers were turned three times on the grill, and that was two times too many. 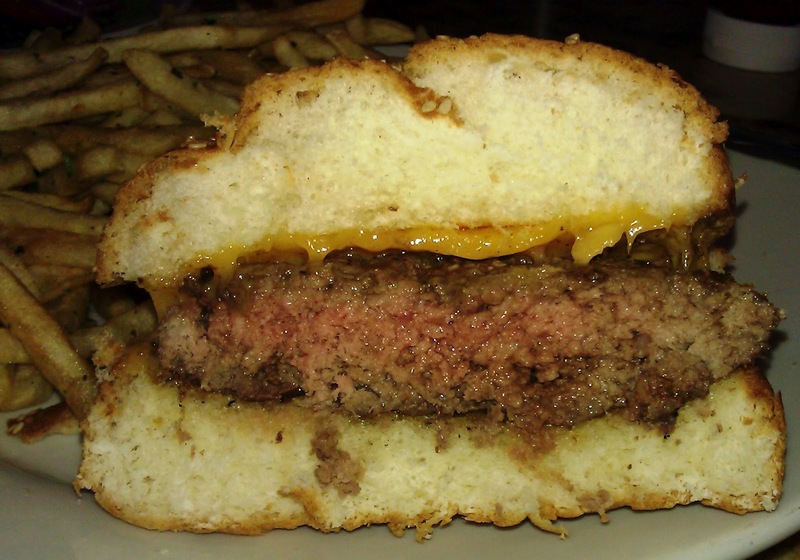 The burger patties were not pressed as they cooked, so the juices were retained. They did nail the Medium cooking temperature that I had requested. The kitchen staff was competent, but they were working with completely average ingredients. 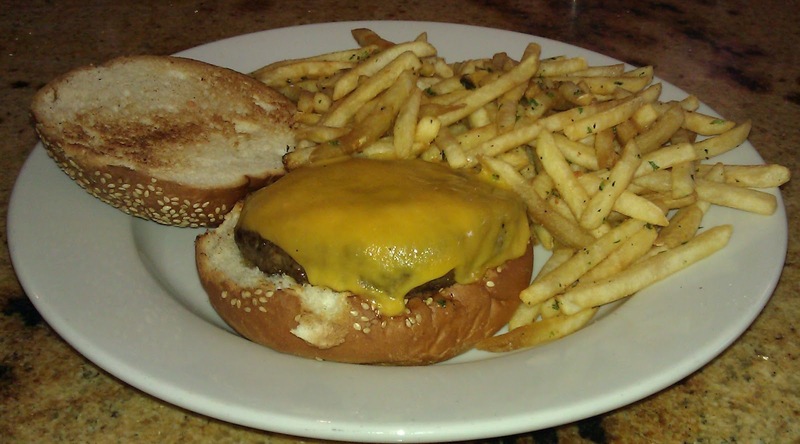 The Cheese: The Hollywood Corner employed a bland Cheddar. While it was properly melted, it was bland. The cheese was absent on the palate. Even after the dry top bun was removed, the Cheddar still failed to deliver. The Bun: This was a big, honking, seeded Kaiseresque affair from France Bakery. The bun was probably a lot better on Friday...when it was fresh. That said, the bun was properly toasted. It was mildly sweet and just a little yeasty. The Meat To Bun Ratio: The big, dry bun was the clear winner of this contest. The Toppings: The mixed greens and tomato were market fresh and perfectly ripe. The Fries: The peel-off shoestring fries were delivered par-cooked and frozen. 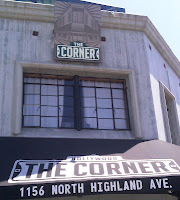 The fries at The Hollywood Corner were crisp and golden...just right. The seasoning was also spot on. The Value: 10 bucks for a 1/2 pound burger with fries was about average. The value was worsened by the stale bun, but the discounted price sort of made up for that. I would have been far less happy had I paid full boat for this thing. 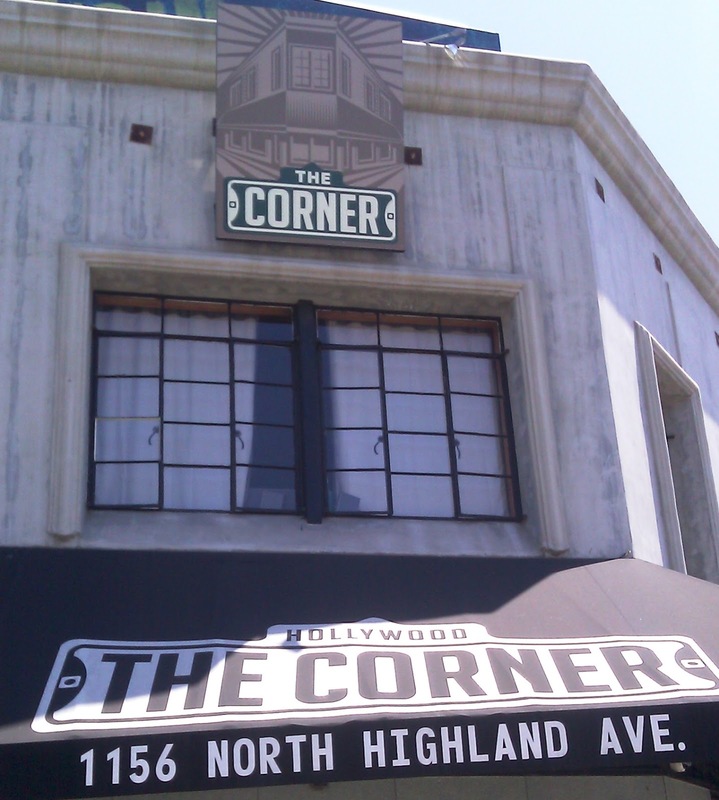 The Hollywood Corner served up a really average burger and some pretty good fries. It didn't merit the price tag. I certainly wouldn't seek it out on purpose for a second go around. Burger Review : Average, nothing special, meh.